Grand Rapids Community College has upgraded its RaiderCard, going contactless for a wide range of on-campus transactions. 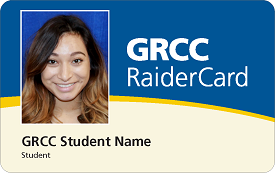 The changeover officially began December 17, with all students and employees now required to have the new, contactless RaiderCard as part of the college’s ongoing commitment to campus safety. Students’ first contactless RaiderCard is free, with any subsequent replacement cards carrying a $10 fee. Making purchases at select on-campus dining locations. Automatic deposits from student bank accounts. Aesthetic changes to the new contactless RaiderCards also make the cards easier to read, with added space for longer student names to now be printed in full.